Not all agents are  created equal. There are no qualifications required to be an agent, no  certification board to which one must submit. Thus, technically, anyone  can call themselves an agent. Doesn&apos;t mean they *should*... but they  *can*. As an author, it&apos;s key  to do your research and know the difference between a good agent and  bad. There are red flags you can look out for, and due diligence you can  do to protect yourself. It is better to have NO agent, than a BAD agent. So how can you tell the difference between a good and bad agent? First thing is first: MONEY SHOULD ALWAYS FLOW TO THE AUTHOR. Number one rule. If an agent or agency asks you for money upfront, RUN. It&apos;s a scam. What is the agent&apos;s publishing experience/credentials for agenting? Anyone can hang a shingle and call themselves an agent, but that  doesn&apos;t  make them qualified. An agent/agency should have concrete  publishing  experience, ideally: full time jobs in the industry held  over a number  of years, including but not limited to being an editor,   publicist/marketer, assistant, etc. at a reputable publisher; working at   a reputable literary agency with strong sales; working as a  bookseller;  having interned at an agency IN COMBINATION with one of  these other  things. Someone who interned for a little while and then  started an  agency likely doesn&apos;t have the experience and contacts  needed, but if  they interned AND worked full time as an agency  assistant for, say, two  years, they may have the chops. Quality of experience  does matter--look at where they worked. Publishing is ALL about  connections and networking, and thus where you  have "walked" matters  for where you will land. Everyone has to start somewhere, but...  Every agent is new at some point, but what&apos;s the distinction between   someone who is new and bound for a robust and successful agenting career   and a schmagent who won&apos;t be able to do much for you? Look for the  intersection between what agency they&apos;re are with  coupled with their  experience. 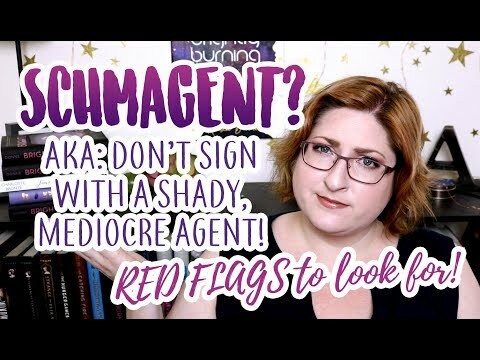 You need either an established, reputable  agent to guide  you OR lots of industry experience (or both, but at  least one)... thus a  new agent at an established agency is a safer bet  than a new agent as a  dodgy agency with limited sales. A new agent  setting up a boutique  firm with lots of industry experience is a safer  bet than one with  little to none. Look at their sales record  You can look up sales on Publisher&apos;s Marketplace (with either a   subscription OR if they have a free profile page), in Publisher&apos;s Weekly   (not representative of all deals)... look on their website who their   clients are and where their books have sold. Here is where the agency   can really matter: a new agent without a sales record but at a reputable   agency with strong sales? That agent is likely a safe bet. Newer  agents  at established agencies receive mentorship/guidance, so you can  usually  look at the agency&apos;s representative sales/client record and get  a good  sense of how they are. Do they primarily make sales to publishers that don&apos;t require agented submissions? Have they made ANY sales to Big Five/major traditional publishers? Where do you want to be published, and do they have the connections to make that happen? The thing with agencies  that primarily sell to small publishers with  open submission policies  and/or digital only publishers, is you have to  ask yourself: what can  they do for you that you couldn&apos;t do for  yourself? Do they have the  relationships to make sales at major  publishers? Often bad agent and  schmagent are used interchangeably, but there is a special type of  schmagent worth noting: the well-meaning agent who just can&apos;t make the  sales you want. Many schmagents mean well. They hustle. Many have excellent social media presence and are VERY nice. But they have middling  to no ability to sell your book to the  publishers you want them to sell  it to (if you want a mid-sized to large  traditional publishing deal). Look at their experience, their sales--delve beyond social media  presence and an attractive website. 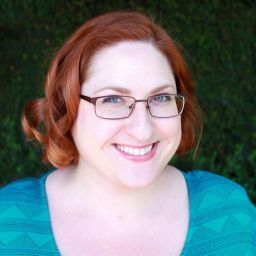 Is this agent representing authors  successfully and selling their books to major, reputable publishers? To my mind, a schmagent  is someone who has been around a long time--many of them have splashy  social media presences (and participate in the  online contests)--but  you never seem to see any sales from them, ever. Or if you do, it&apos;s a  sale to a publisher that accepts unagented  submissions. They just don&apos;t  have the relationships, connections, "eye"  and/or taste level to get  things read & sold. And/or there is  SOMETHING going on below the  surface that we, the writers, can&apos;t see  that must be impeding their  professional progress (personality issues? writes terrible  emails/pitches? editors just don&apos;t like them?). As an author, the key is to do your research. And never query someone you wouldn&apos;t be happy to accept an offer of  representation from. If they&apos;re not making sales to the types of places  where you want to be published, don&apos;t query them.